Palladium 'Pampa Oxford Heel' Retro Canvas Shoes are a style that combine Palladium's heritage aesthetics with a contemporary Indie twist. 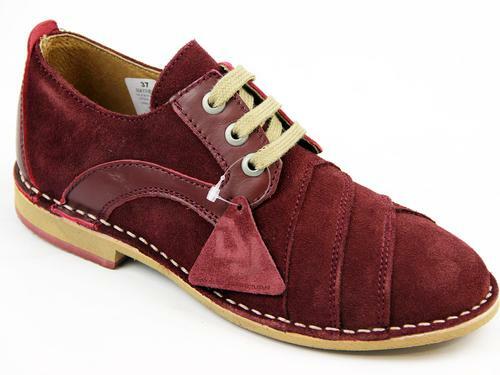 A fantastic heel adds a dressy edge to the traditional Palladium Pampa Oxford Shoe. 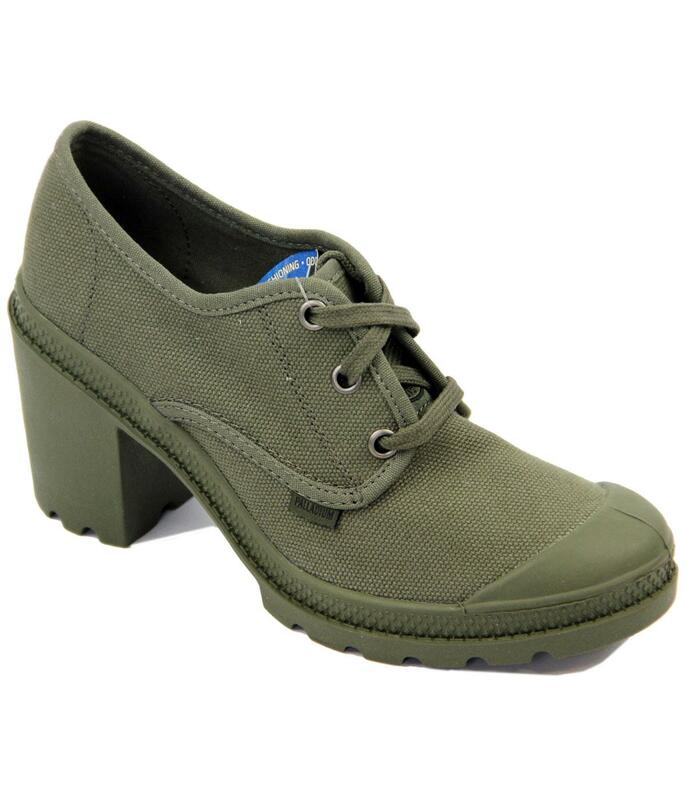 Classic Military colour that's an easy and cute wear with jeans, dresses or skirts - Palladium 'Pampa Oxford Heel' Shoes. 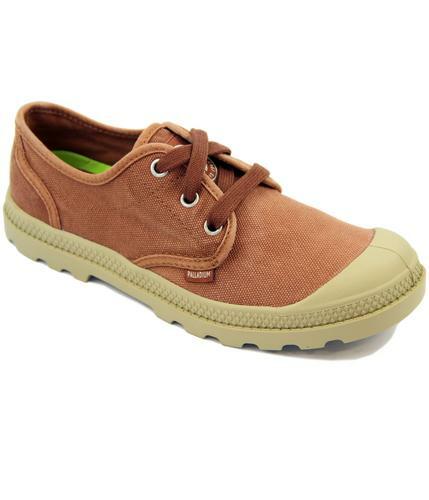 Palladium 'Pampa Oxford Heel' Retro canvas shoes in olive. 3 eyelet lace fasten, classic diamond fox banding adds texture to the side wall. Subtle Palladium sign offs to the side, tongue and heel. Traditional Palladium rugged, contoured outsole magnificently paired with a heel for that refined-casual edge. Tonal Retro piping trim, trademark Palladium toe cap. Ortholite cushioned insole assists air flow and wicks away moisture. An innovative and stand out style with exquisite shape - Palladium 'Pampa Oxford Heels' are a must have for the Spring/Summer season. Key Points: Palladium 'Pampa Oxford Heel' canvas shoes. SKU: 93318302 Pampa Oxford Heels.